In the wake of his impressive return to the sport, the Finn’s two-year contract with Lotus is now expiring, and his shares are bullish at the moment in the F1 paddock. The Enstone based team clearly wants to retain the 33-year-old former world champion, who has thrived under Lotus’ laid-back regime. Raikkonen’s other option could be Red Bull, who are not yet committing to Mark Webber beyond the veteran Australian’s 2013 deal. “I’ve been here (in Formula 1) long enough to know that the only thing that matters is finding the right situation for yourself,” he answered, when asked how he will come to his final decision. Steve Robertson, Raikkonen’s long-time manager, said it is obvious the cool Finn – nicknamed ‘the iceman’ – is the hottest property on the driver market at present. “Kimi has done a brilliant job with Lotus so it’s no secret that, at the moment, he is the hottest driver available for next year,” he told Finnish newspaper Turun Sanomat. “You know what a good job a driver is doing when a team (Lotus) starts talking so early about next year,” added Robertson. “I am not saying if there are more teams interested (in Raikkonen) but, for sure, a driver as competitive as Kimi is right now is always very much in the attention of all the top teams,” he said. 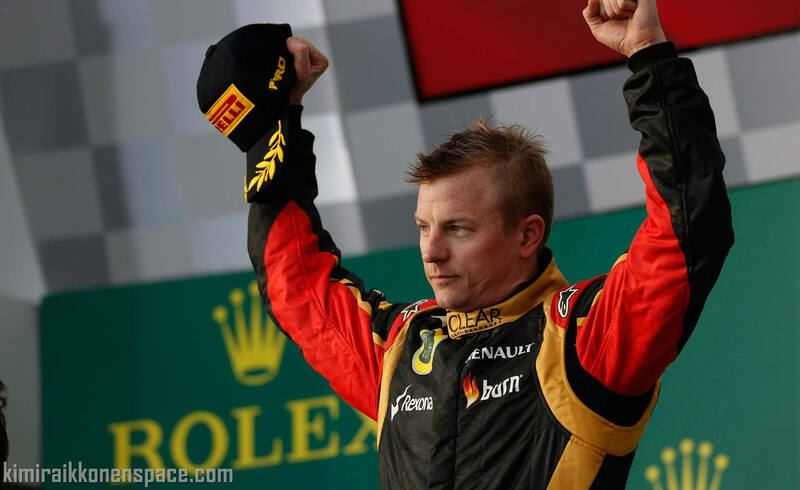 If Kimi gets an offer from Red Bull, he will leave Lotus. I remember clearly Kimi saying he was not going to Ferrari, and then only two days later Ferrari announced they had signed him for 2007. As usual, he plays everything down – and then suddenly takes us all by surprise!